Since the centrifugal force acts on the flow in the curved channel, a transverse water surface gradient occurs and the thalweg is biased toward the outer bank. The submerged vanes may be used to solve various engineering problems of the curved channels. 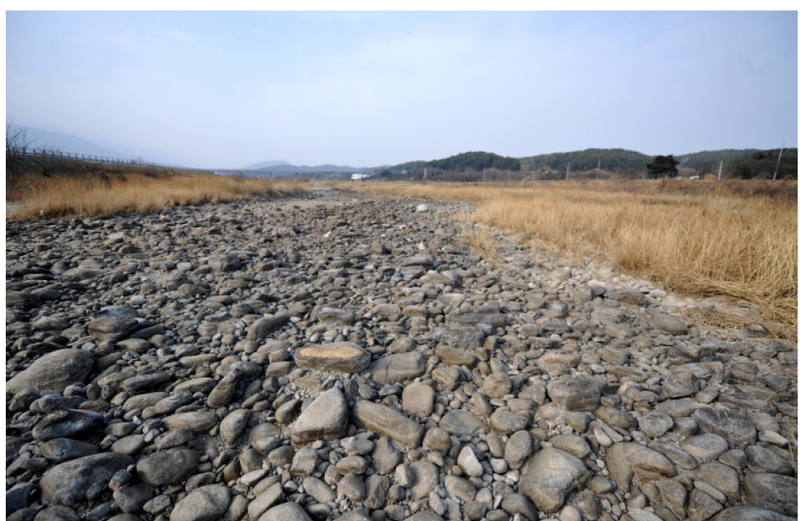 In order to analyze the influence of an attack angle and the distance between the vane arrays on the river bed variation and the superelevation in a bend, movable bed hydraulic experiments were conducted in a 90°curved rectangular channel of a small-size gravel bed. Installing the submerged vanes in the bend increases the maximum scour depth. But if vanes are installed in a uniform obtuse angle, the scour depth may be reduced. 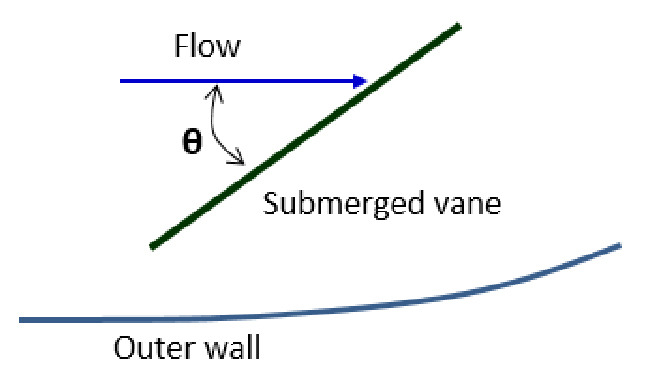 If the flow rate in the channel bend with vanes equals to the channel forming discharge, the location of the maximum scour depth moved to the downstream and the superelevation increased. However if the flow rate is smaller than that, the location of the maximum scour depth moved upstream and the superelevation decreased. The channel bed change and the superelevation due to the installation of the submerged vanes have been dependent on the interaction of the attack angle, the flow rate, and the distance between the arrays. 개수로 만곡부에서 흐름은 원심력이 작용하기 때문에 횡방향 수면경사가 나타나고 유심선은 만곡 외측으로 치우친다. 수중 수제는 만곡부의 다양한 공학적인 문제를 해결하는 데 사용될 수 있다. 수중 수제가 흐름방향과 이루는 입사각과 수제 열 간격이 만곡부의 하상변동과 편수위에 미치는 영향을 파악하기 위해서 90°만곡 직사각형 단면 수로에 잔자갈을 깔고 이동상 수리실험을 하였다. 만곡부에 수중 수제를 설치하면 최대 세굴심은 증가하나 균일한 둔각으로 수제를 설치하면 세굴을 줄일 수 있다. 수제를 설치한 만곡부에 수제설치 기준하상의 형성유량과 같은 유량이 흐를 경우 최대 세굴이 발생하는 위치가 하류로 이동하고 편수위는 증가한다. 그 유량보다 작으면 최대 세굴심의 위치가 상류로 이동하며 편수위는 감소한다. 만곡부에서 수중 수제는 입사각, 유량, 수제 열 간격의 상호작용에 따라 하상변동과 편수위에 대한 영향이 다르다. A suction caisson has been widely used for anchor and foundation of offshore structures due to its broad application, simple installation, and rapid construction. In design of suction caisson foundation, the bearing capacity and the stability of soil are mainly dealt with and analysis methods for them are presented in design codes related to the foundation. On the other hand, the method for structural safety analysis of the suction caisson is not generalized, in particular for load modeling of the caisson under suction. Consequently, there are difficulties in design of the caisson cross section. 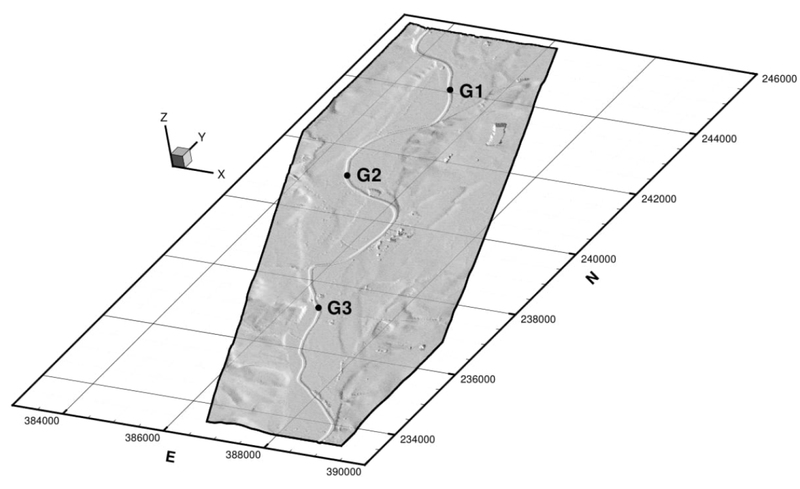 For this reason, this study analyzed the magnitude and distribution of pore water pressure on inner and outer surface of the caisson using theoretical and numerical seepage analyse, and an approach to reasonably estimate the load applied to the structural analysis of the caisson was presented. Furthermore, effects of penetration depth, anisotropy of permeability, and suction pressure on the pore water pressure were analyzed. 석션 케이슨은 설치 수심제한이 적고, 비교적 단순한 설치공정과 빠른 시공이 가능하기 때문에 해양 구조물용 앵커 및 기초형식으로 활용되고 있으며 그 적용이 점차 확대되고 있다. 석션 케이슨 기초의 설계는 지반의 지지력 및 안정성 검토가 중심이 되며, 관련 설계기준에서 해석 방법을 제시하고 있다. 반면, 케이슨의 구조적 안전성 분석은 방법이 정형화되지 않았으며 특히 케이슨에 작용하는 하중 모델링에 대한 명확한 산정 방법이 정립되지 않아 석션 케이슨 단면 설계에 어려움이 있다. 이러한 이유로 본 연구에서는 이론 및 수치적 침투해석을 통해 석션압에 의해 발생되는 케이슨 내외부의 간극수압 크기 및 분포를 분석하고, 이를 바탕으로 구조해석에 적용할 수 있는 합리적인 하중 평가 방법을 제시하였다. 추가적으로 관입깊이, 투수계수의 이방성, 석션압 변화가 내외벽에 작용하는 간극수압에 미치는 영향을 분석하였다. Micropiles are widely used for foundation underpinning to enhance bearing capacity and reduce settlement of existing foundation. 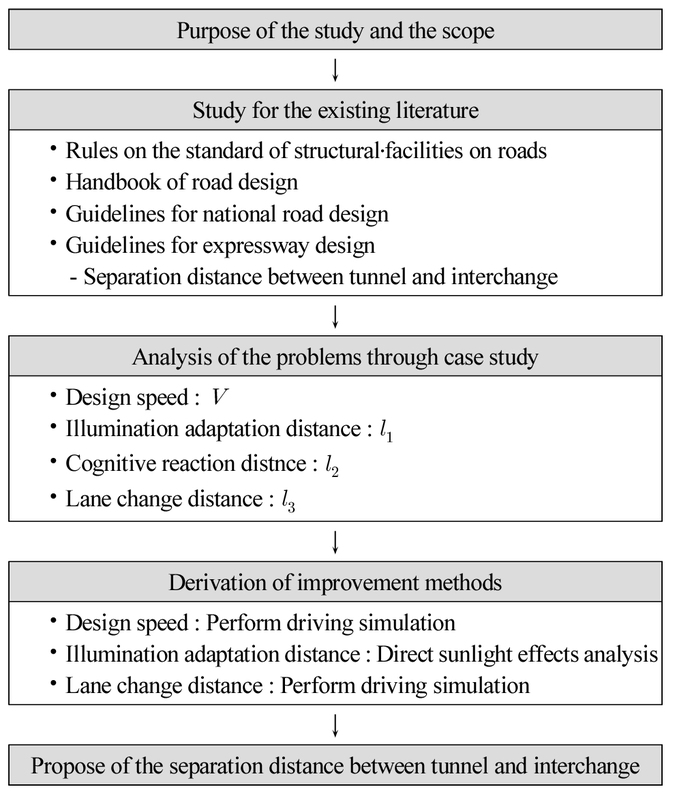 In this study, the main objective is to evaluate underpinning performance of a newly developed micropile called waveform micropile for foundation underpinning during vertical extension. 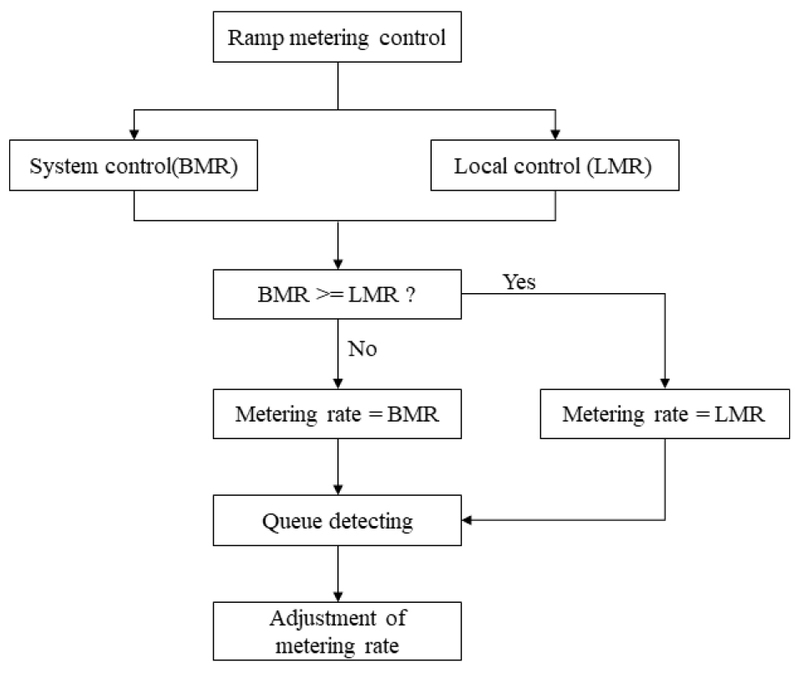 Finite element method (FEM) was used to evaluate the underpinning performance of waveform micropile in terms of load-settlement response of underpinned foundation and load sharing behavior. 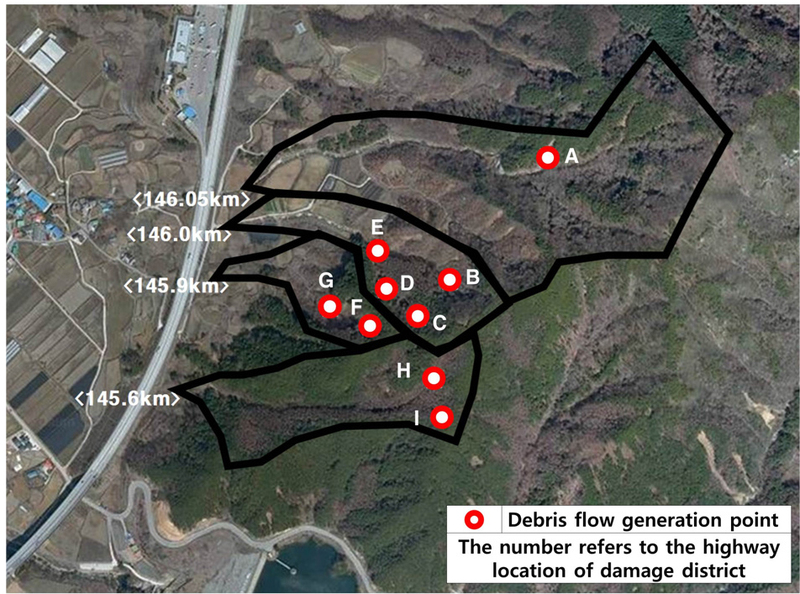 For comparison, underpinning effects of three conventional micropiles with different lengths were also discussed in this study. 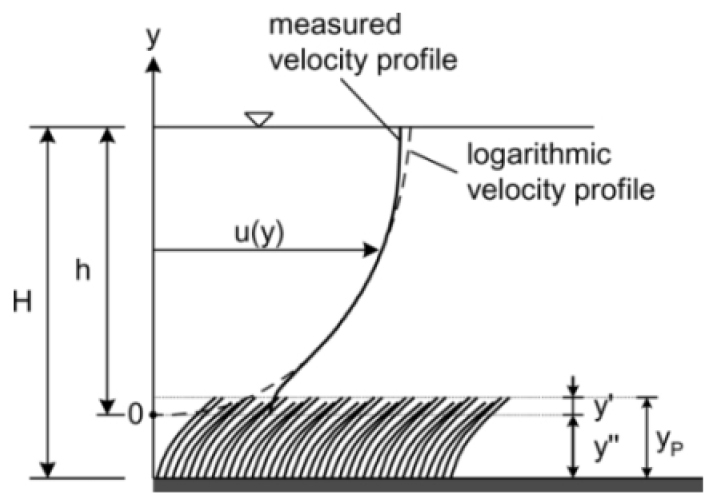 Numerical results of load-settlement response for single pile demonstrated that bearing capacity and axial stiffness of waveform micropiles were higher than those of conventional micropiles because of the effect of shear keys of waveform micropiles. When additional loads 20 %, which is according to design loads of the vertical extension, were applied to the underpinned foundation, load sharing capacity of waveform micropile was 40 % higher than conventional micropile at the same size. The waveform micropile also showed better underpinning performance than the conventional micropile of length 1~1.5 times of waveform micropile. 기존건물의 수직증축시, 추가되는 증축하중을 지지하기 위해서 기초를 보강하는 것은 필수적이다. 일반적으로 기초의 지지력을 증대시키고 침하를 감소시키기 위하여 마이크로파일공법이 널리 활용되고 있다. 본 연구에서는 기존의 마이크로파일에 전단키가 추가된 새로운 형식의 파형마이크로파일을 활용하여 연구를 수행하였다. 유한요소해석법(FEM)을 통해 기초보강시 파형마이크로파일의 하중침하거동과 하중분담율을 평가하였으며, 3가지 길이 다른 일반적인 마이크로파일들의 지지거동과 비교를 통해 보강효과를 확인하였다. 해석 결과, 파형마이크로파일의 지지력과 축강성이 일반 마이크로파일보다 크게 나타났으며, 이는 파형 마이크로파일의 전단키에 의한 효과인 것으로 판단된다. 또한, 수직증축 리모델링 시, 기존하중 대비 20 %의 증축하중이 재하될 때, 파형마이크로파일의 하중분담율이 동일한 길이의 일반 마이크로파일에 비해 약 40 % 증가하였으며, 보강효과는 길이 1~1.5배의 일반적인 마이크로파일보다 우수한 것으로 나타냈다.